News that MTR Corp chairman Frederick Ma Si-hang had to undergo an emergency operation during a family trip to Australia last year thows light not only on the irony of a local regulation requiring overseas doctors to undergo an extra-long internship if they want to practice in the SAR but also on the expensive bills our private doctors may slap on their patients. Ma was then so ill that his systolic blood pressure fell to a low of 50. He was diagnosed as having a biliary inflammation and his gallbladder was removed urgently by a Malaysian graduate who is practicing in Australia. The bill was about US$10,000 (HK$78,000), which includes the hospital stay. If conducted in a private hospital in Hong Kong, a similar operation could cost as much as HK$300,000. For someone as rich as Ma, US$10,000 was small change, but it must still have come as a sweet surprise. To some extent, the hurdle created by the Medical Council is responsible for the exorbitant costs involved in seeing private doctors here. The SAR has not been producing enough doctors to meet rising local demand. While Ma has recovered with the help of an overseas doctor, our medical sector hasn't yet. The council's decision against dropping or cutting short the internship requirement for overseas doctors two weeks ago was incomprehensible, showing how conservative senior members of our medical profession have been. Their premise that medical standards must be upheld at the highest levels is correct. The issue with them, however, is that while the council's current approach provides a reasonable guarantee of standards, it has also given rise to problems. The refusal to recognize the qualification of graduates from even the most respected medical schools in the world doesn't make sense and inhibits our ability to solve the manpower shortage problem endangering our public health-care system. There are alternatives, and the council must accept the need for change. A Democratic Party plan to move a private member's bill to include well-established accredited schools in Britain, America, Australia, New Zealand and Canada in a regulatory schedule so as to allow their doctors to practice here without having to go through red tape is not novel. The same arrangement has been enacted in Singapore for some time and seen success. The party's Helena Wong Pik-yan wants to strip the council of some of its powers and British and US specialists to be able to work here without having to undergo exams. 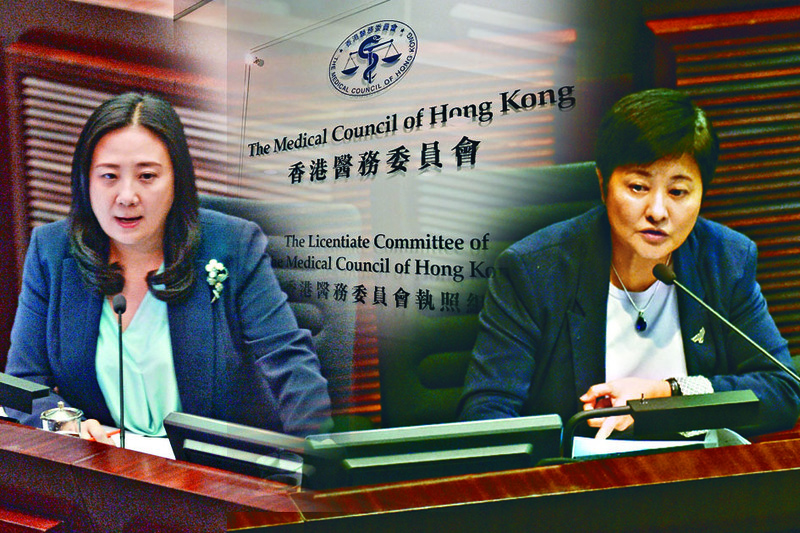 Liberal Party chief Tommy Cheung Yu-yan, whose daughter and son-in-law are both doctors in the United States, tried to move a private member's bill a few years ago and only stopped after then health chief Ko Wing-man promised to reform the council and work to lower the barrier to overseas doctors. Sadly, lawmakers - including pro-establishment ones - weren't interested and the exercise ended in limited changes that failed to stand up to the test. Now pro-Beijinger Elizabeth Quat wants the government to take back control of the council. When the council recently refused to even allow a baby step to be made on the internship issue, it lost the moral high ground completely. The Democrats' proposal could be a way forward while cross-party cooperation is welcome. The prevailing public opinion is clear and Ko's successor Sophia Chan Siu-chee should ride on the shifting situation to complete reforms that were impossible a few years ago.